HONG KONG (Reuters/IFR) – Chinese Nasdaq-listed biotech BeiGene Ltd has raised $903 million after pricing its secondary listing in Hong Kong – the first under new exchange rules – near the top of an indicative range, three people close to the deal said on Thursday. Hong Kong’s stock exchange is seeking to establish itself as a financing center for the growing number of pre-revenue drug developers. Its efforts will pit it against Nasdaq, currently the biggest center for biotech listings, with $2.4 billion worth of such shares sold last year, Thomson Reuters data showed. BeiGene has seen its shares jump more than seven times since raising $158 million in its 2016 Nasdaq IPO. Each American Depository share (ADS) represents 13 ordinary shares. BeiGene declined to comment on the pricing. The people declined to be identified as the information was not public. Four cornerstone investors – Singapore sovereign wealth fund GIC Pte Ltd [GIC.UL], U.S. hedge fund Baker Brothers Advisors and Chinese investment firms Hillhouse Capital Group and Ally Bridge – have committed $276 million for the offering. Under Hong Kong’s new rules, in place since April 30, biotech firms without revenue or profit can apply to list. The first listing by Ascletis Pharma Inc under the new listing regime saw shares close flat with their IPO price on their debut on Wednesday. 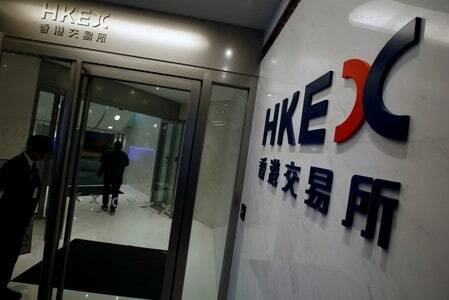 More than 10 biotech firms – mostly Chinese and including Innovent Biologics, backed by Singapore state investor Temasek Holdings (Pte) Ltd [TEM.UL], and Shanghai Henlius Biotech – plan to list in Hong Kong and some have dropped U.S. IPO plans in favor of listing closer to home. “There are a lot of global investors that are specialists in biotech, but they know very little about China. And there are a lot of investors (here) that know a lot about China, but they know very little about biotech. The dual-listing that we’re doing is helping educate both ways,” John V. Oyler, founder and chief executive of BeiGene, told a news conference in Hong Kong on Sunday. The China and U.S.-based BeiGene was founded by Oyler and Wang Xiaodong in 2010. It has a portfolio of six internally developed clinical drug candidates including three near commercial stage, its prospectus showed. It plans to use proceeds from its secondary listing for developing and commercializing the three late-stage drug candidates, expanding its product portfolio and for general working capital, the prospectus showed. The company recorded a net loss of $105 million in the first quarter of 2018, a loss twice as wide as in the same period a year prior. Its shares will start trading in Hong Kong on Aug. 8. Goldman Sachs and Morgan Stanley are joint sponsors for the deal.